Associate Professor Ronika Power was among the Macquarie women doing big things in STEM in 2018. As co-chair of the Faculty of Science and Engineering’s ‘Women in STEM’ committee, Professor Judith Dawes is part of a dedicated group of Macquarie staff empowering women to achieve in the fields of science, technology, engineering and maths. Here she shares a few highlights of the year. Macquarie’s Women in STEM are active in so many different ways – achieving great research and teaching outcomes, representing the University and their disciplines in the community, and creating supportive networks within and beyond the University. It is impossible to represent all of the successes of women in STEM this year, but here are a few snapshots. Science and Technology Australia launched Superstars of STEM in 2017, aiming to “smash society’s gender assumptions about scientists”. 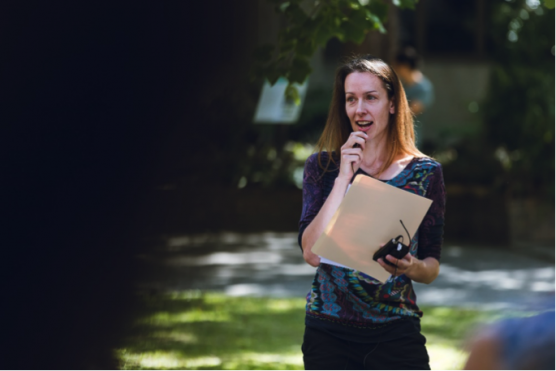 The Faculty of Arts’ Associate Professor Ronika Power was among the first graduates of the program – and the only STEM Superstar to be based in an arts faculty. 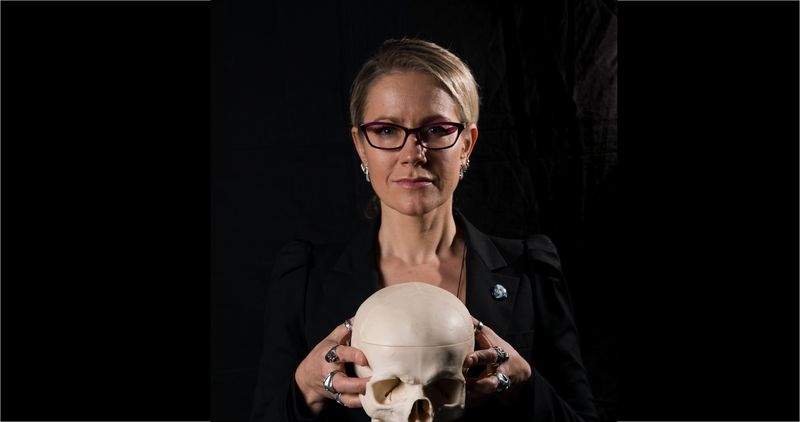 With an infectious passion for her interdisciplinary work in bioarchaeology (Sydney Morning Herald, 5 December 2018) she has been has been an outstanding role model for young women interested in careers that blend the humanities and sciences. In addition to a speaking tour of regional schools, Ronika represented the program in meetings with the Japanese Minister for Science, as well as speaking at TEDxMelbourne. More than 100 high school students participated in our first Pioneering Women in STEM program, deepening their understanding of STEM disciplines and their real-world application. Organised by Alison Willard in Future Students, the multi-week program saw students working in groups to solve a global challenge using STEM. Our cross-disciplinary and hands-on approach has had a positive impact, with 98% of the participating students saying they intended to study a STEM-based degree after high school. Associate Professor Heather Handley – who spoke to This Week earlier in the year about the challenges of mothers working in academia – became the inaugural President of the new Australasian network WOMEESA, bringing together women in the earth and environmental sciences in academia, industry and government. The network was launched on International Women’s Day in March. Heather Handley speaking at an International Womens Day morning tea. 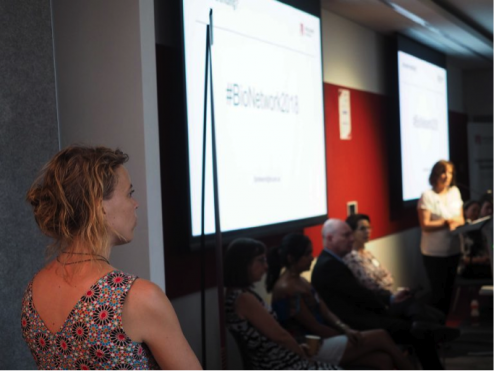 “Killing it in Science” was a one-day Bionetwork symposium organised by early career researchers Dr Annemarie Nadort in Science and Engineering and Dr Jennifer Fifita in Medicine and Health Sciences. Fostering multidisciplinary collaboration within the bioscience research community at Macquarie, the symposium attracted people from 13 departments to explore overlapping research aims, technologies and challenges. “We had a fantastic engaged crowd of over 150 attendees and a wide range of presenters covering careers in academia, research-industry collaboration, innovative bio-research activity and much, much more,” says Annemarie. Organiser Annemarie Nadort observes a Bionetwork symposium panel discussion from the wings. Macquarie’s growing School of Engineering is incorporating a greater awareness of diversity, inclusion and community. Our engineering enrichment opportunities for female Year 9 and 10 students – with hands-on workshops and guest speakers to inspire young women to consider careers in engineering – have contributed to a three per cent increase in commencing undergraduate female students in Engineering from 2016-2018, while Information Technology has seen a two per cent increase. The IEEE Women in Engineering group, led by Naila Mukhtar, has offered workshops for students and staff on professional and personal topics such as career development and entrepreneurship. The group also combined with the Women in STEM committee to offer a workshop on work-life balance (read more in Teche), and supporting gender equity in STEM academic recruitment. Many departments and schools within the Faculty of Science and Engineering have partnered with the Women in STEM committee for monthly informal networking events, enabling members of different departments to meet each other. Visit the Women in STEM Committee webpage to find out more about the group’s activities. You’ll also find links for testing and addressing unconscious bias.